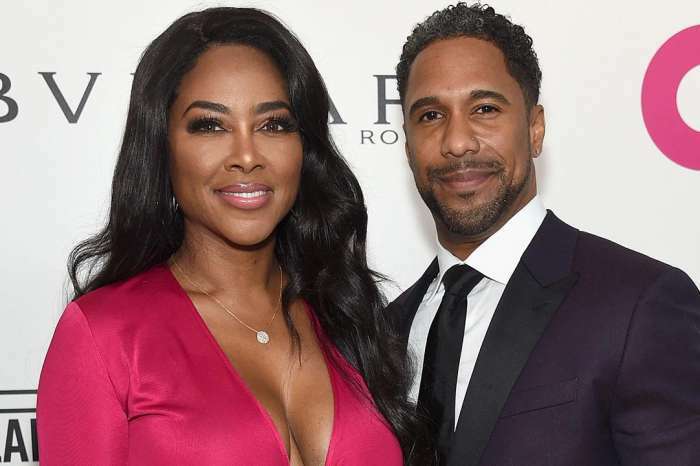 During the newest episode of Keeping Up with the Kardashians, Kenya Moore and Kim Zolciak got into such a huge feud that it almost turned physical! The ‘Girls and Gays All White Never Forget’ bash was hosted by Nene Leakes and Sheree made sure to also bring Zolciak along to stir up some drama – and that is exactly what happened! Leakes and Moore were both shocked and mad to see Kim walk into the room. ‘I never know how Nene’s gonna to receive me. She might hug me, she might punch me,’ Zolciak said. Kim and Sheree talked about Kenya’s marriage just before the party and did not hesitate to diss their fellow Housewife. A friend of Moore’s, Marlo, congratulated her on the marriage and also asked her if any of her co-stars have met the guy. ‘It’s not gonna happen b*tch because you do not exist,’ Kim slammed! Cynthia tried to keep the peace and told them that she had just talked to him on the phone! But Kim insisted that he doesn’t exist and that Kenya is lying. ‘Worry about your botched surgery, don’t worry about me,’ she shot back at Kim! However, she just ignored the diss and insisted that the reason why Kenya is so worried is that she has something to hide. The two women were out of control, and as they were shouting at one another, they had to be restrained before they could physically hurt one another. Terry Crews Says His Sexual Assault Perpetrator Adam Vinet "Got A Pass"